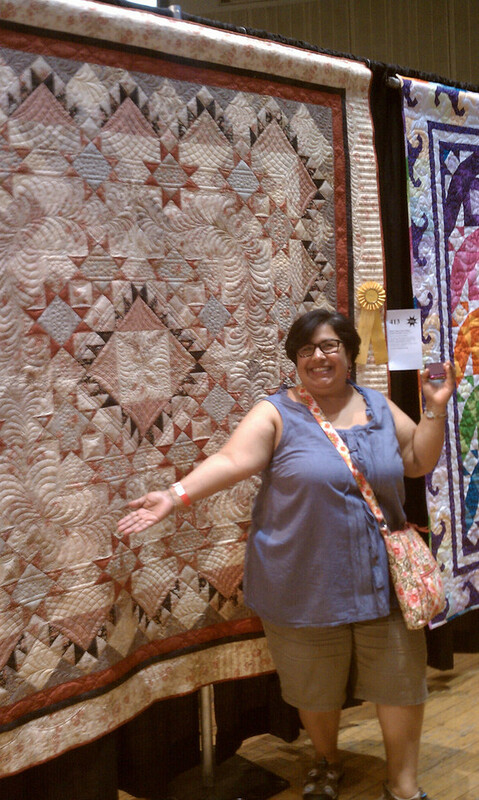 Back in August, before the craziness began, I put Beth into the Images 2011 quilt show. 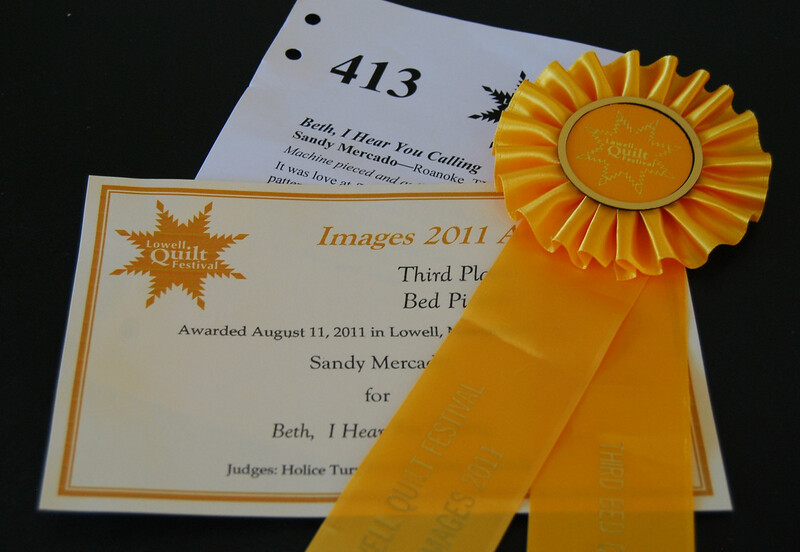 I had never entered a quilt into a show but when my sister told me that the deadline for submissions to the Images 2011 show was almost upon us, I got a serious itch to send in a picture. I was a bit floored when Beth was accepted into the juried show. When Beth returned from Margaret's I was insanely happy. I knew she would not disappoint. I could easily accept that she would impress. LOL! 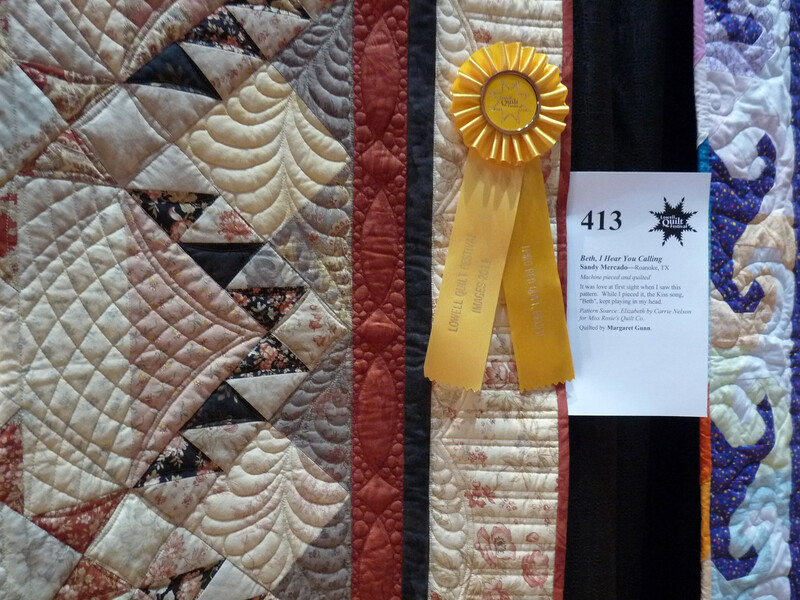 I was still surprised when I received an email letting me know that my entry had won a ribbon! I was not able to actually see Beth on display, but I sent a good entourage to represent. and my daughter was doing her best to document the occasion. I can't tell you how happy I am with this quilt and how I'm going to be working hard to get my daughter her own wedding quilt so I can have Beth back at home. LOL! 6 comments on "Someone brought home a ribbon..."
Wow, congratulations, not just on winning a ribbon, but also on having the courage to enter in the first place. 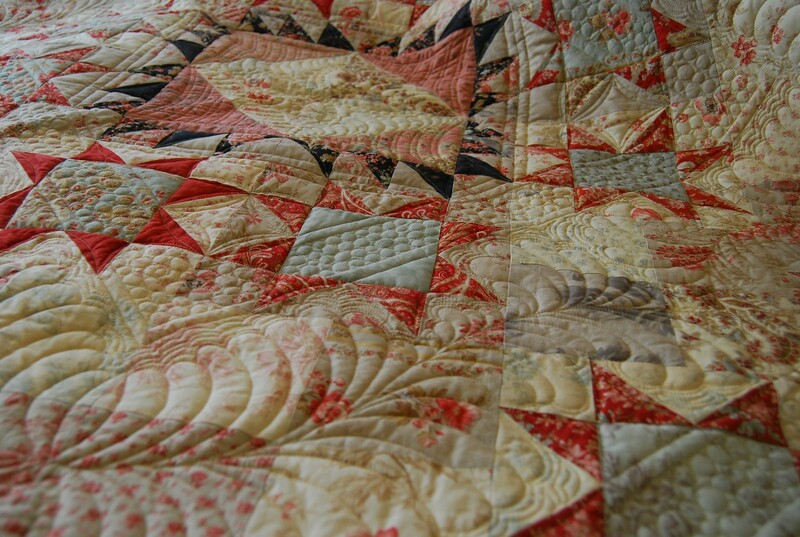 Beth is a beautiful quilt! Congrats! It was a very well deserved win by the looks of it. Your quilt is beautiful. 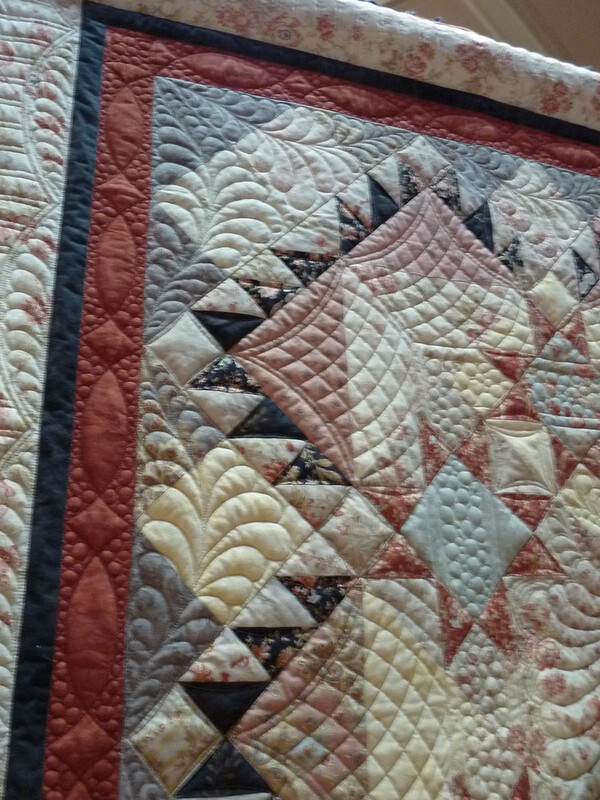 This little show has some absolutely fantastic quilts at it. It was easily my favorite show of the season. 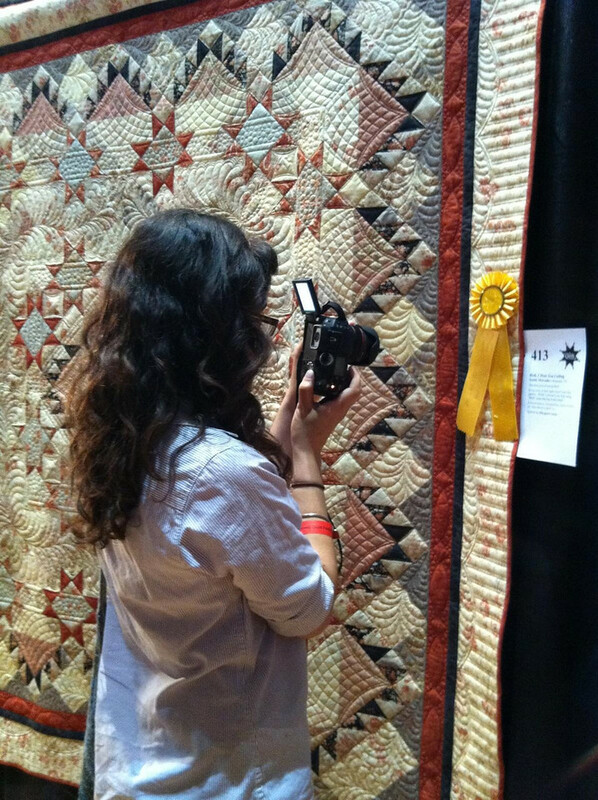 You ought to be SO proud of this quilt. 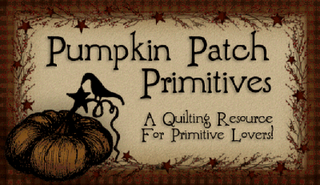 It may have been a joint venture, but the best quilting in the world couldn't compensate if the piecing was not what you did. You did fantastic, and I hope you have it in you to do again (ie, that wedding quilt!@@!). Let the daughter pick it up after the show! Cogratulations! 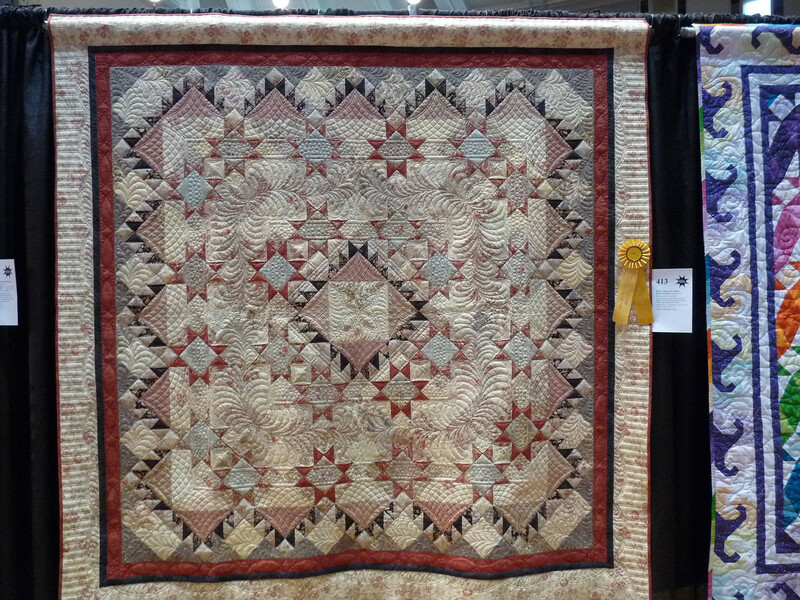 Beth is a fabulous quilt! Who did the quilting? 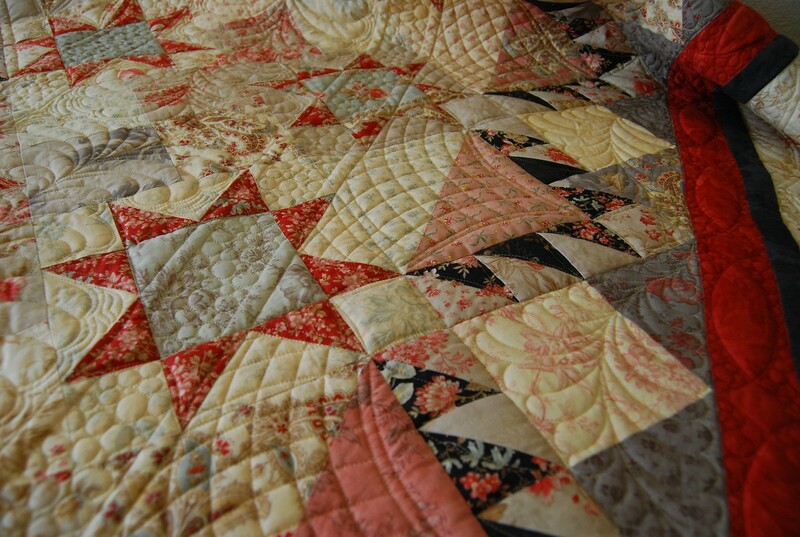 It really looks great with your fabulous piecing. 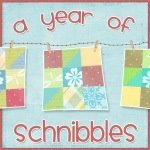 13 Quilts featured on Quilt Story!